I have found a UK supplier of this which I believe is supplied by Electrosport in the states are they suitable replacements? Stiv, why are you looking for a regulator in the first place? You mentioned you already had more than one. Imho it makes no sense spending the money if you're not certain that's the main issue. If regulator is failed, it can broke also alternator in left side of engine and SAME VIA VERSA. Allways with such problems have to measure insulations of generator (with suitable insulation meter/tester, what gives 250 test voltage! )and also all wires with Ohm meter. Regulator CANT be measured 100% surely, no matter in some Haynes Ducati manuals are noted some ohms between regulatos wires. Also regulator plate(case) ground must be 100% to bike frame! Same with wires from regulator to battery! Most these "cases" are coming from poor connectors between regulator and generator in left side little under steering head bearing. Also ST-series bikes suffer from these POOR/DIRTY connectors in same wires. And if I remember correctly he bought my old one which worked perfectly well before I replaced it with a MOSFET Shindengen. My problem is that I want to test a brand new perfect Regulator/rectifier for a base level test as everything else seems to pan out okay. All three current units that I have are just frustrating the issue as they all give a varied and different perspective. Neither are for certain giving me any charge rate. I have cut away as much of the shrouding that I can on the loom and apart from some oily damp residue no sign of scorch or burn marks, none of the plug sockets are corroded or damaged, Fuses are perfect and new. All the earths are clean. The engine on/off switch is in perfect working order and the spare when fitted gave the same results. It is being a pig of a job to suss out what is the gremlin lurkin underneath. I am also considering trying to find a local company that might be able to confirm if the ECU is at fault somewhere. Please appreciate guys I am on a limited budget spend with my bikes and don't have access to unlimited funds for top dollar bespoke gear on this bike or any of my bikes for that fact. Last edited by englishstiv on Wed Feb 07, 2018 10:46 pm, edited 1 time in total. Derek last time I rode the bike she had your rectifier fitted and the man from the RAC suggested that might be the problem although he was not in any way familiar with the 907ie model. Problem is one of the other issues I had may of knackered yours in the process of the 30 mile ride I had before the battery died. I have a new rectifier but that caused the on/off switch problem that I still have, I admit it was a cheap one under £50.00 but I was hoping it might assist in confirming any other problems not creating a whole new issue. Antii I have a good second hand Power Module ( all the way from Hawaii) awaiting my collection. I have done due diligence on all the relevant earth and connectors and checked under the shrouding of the loom and all the connectors. Stiv, I have also one spare power module in my shelves, but never needeed it yet. It was from some car what use same module and exact same numbers on it. I have also some spare 907ie ECU's if You need such. But never use any multimeter to test MOSFET Regulator! MOSFET is such component (inside unit), that need to "ground yourself" as it needs only small voltage peak and such is dead then. There can be MOSFET regulators, but i havent seen such in Ducati spare part markets. Those originals are "crap" and Electrex is best. 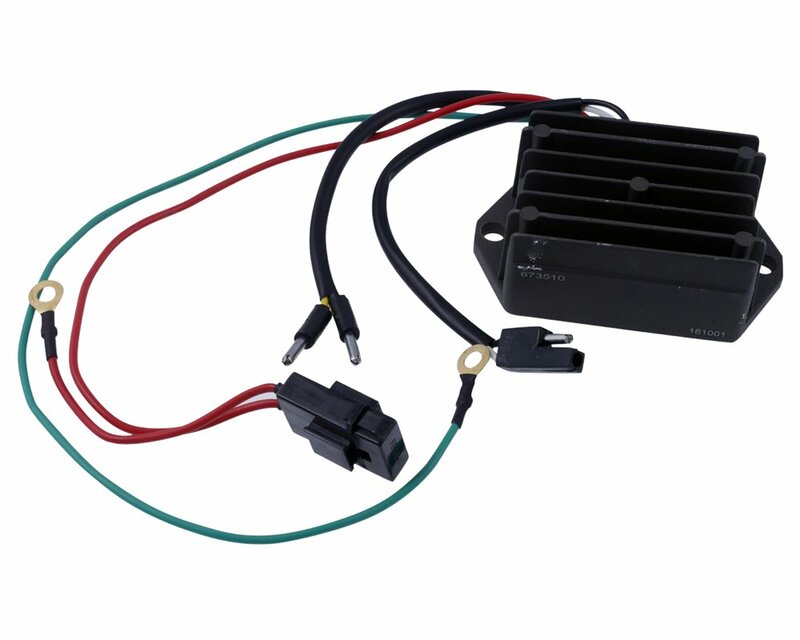 Most of the current generation of Ducatis are now fitted with Shindengen MOSFET regulators. Thank's Derek! I know, that many Duck's use Shindengen jap regulators, but i didnt know that they use MOSFET's inside them. .....have to use more "google search"